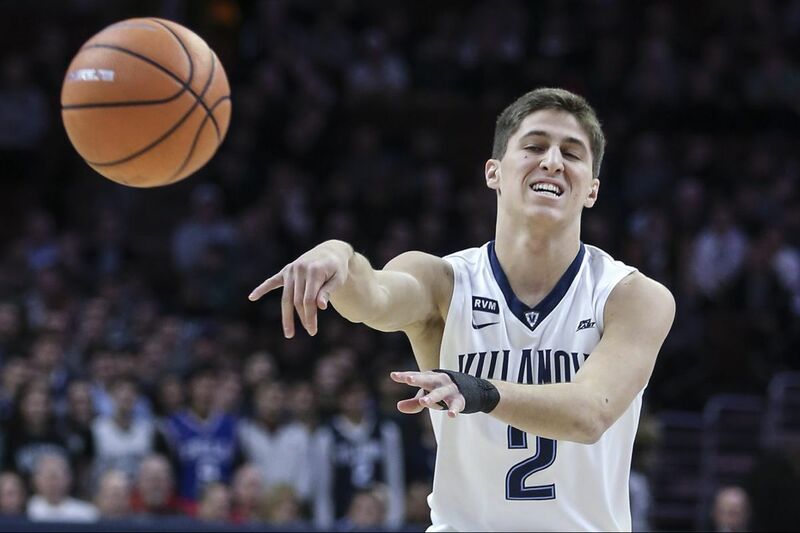 Collin Gillespie and Villanova better not be looking past St. John’s, which enters Wednesday’s game 0-11 in the Big East. St. John's has been about as luckless as any college basketball team in the country. The Red Storm lost their first 11 Big East games with eight of those defeats coming by seven points or fewer, an average margin of 5.3 points per game. But when Jay Wright heard that the Red Storm had upset No. 4 Duke on Saturday at Madison Square Garden, the coach of top-ranked Villanova wasn't shocked in the least. "No surprise," Wright said. "I mean, they played that way against us," a 78-71 Wildcats win on Jan. 13. "In their game before that against Xavier, they had Xavier beat, they just lost it (73-68) at the end. So they've played everybody tough. They're so scrappy and they're so unconventional that they take you out of what you do and you wind up playing like them, and they're good at it and you're not. That's what happened to Duke." The Red Storm (11-13, 0-11), who play the Wildcats (22-1, 9-1) Wednesday night at the Wells Fargo Center, have some deficiencies. They are last in the conference in scoring (72.6 points per game), field goal percentage (42.3) and rebounding margin (minus-5.8). But they really get after it at the defensive end. They are tops in the Big East in turnovers forced (17.6 per game), turnover margin (plus-6.1), steals (9.1) and field goal percentage defense (41.6 percent). They forced Duke into 18 turnovers. In their first meeting, the Wildcats shot just 43.3 percent and turned the ball over 17 times, still a season high. "They get you into like a ratty game and it's strategic on their part," Wright said. "Someone said to me, 'Duke didn't play well, they turned the ball over.' Well, everybody turns the ball over against them. Even their half-court defense is unconventional. It's risk-taking. "It's going for steals because they have a shot-blocker in the back. If they miss the steal, then (Tariq) Owens is back there blocking shots. They're hard to play. I actually felt good for our league but I felt good for our team because I think our team coming out felt like, we got our butts kicked, but we found a way to win. And you don't feel as bad about yourself." The Wildcats will have their hands full with 6-foot-1 sophomore guard Shamorie Ponds, who scored 37 points last month against Villanova without making a single three-pointer. Ponds had 33 against Duke and is the Big East's No. 2 scorer at 20.3 points per game. The 6-foot-11 Owens is first in the conference and fourth in the nation in blocked shots at 3.3 per game. The Cats have climbed to third nationally in points at 88.4 per game and also are third in made three-pointers (11.9) and assist-turnover ratio (1.69). They have defeated St. John's 13 straight times but know they will need to do everything right to make it 14 Wednesday night. "I think they've broken through because they've been so close in so many games," Wright said. "I was happy for them. I just don't want to see them do it against us."